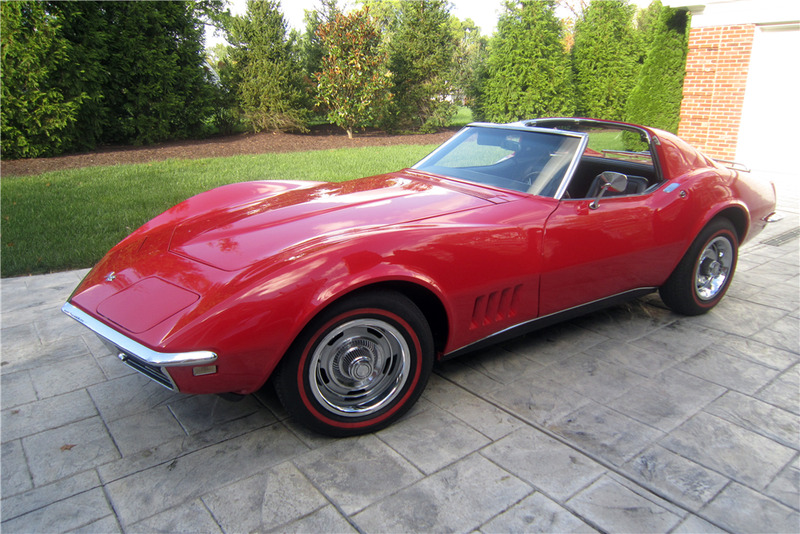 This 1968 Corvette T-Top coupe has 45,035 original miles (the title reads mileage exempt). At about 41,000 miles it had a professional and complete nut-and-bolt, frame-off restoration. No expense was spared and everything is documented. Powering this Corvette is a 327/300hp engine mated to an automatic transmission, and it rides on a set of Rally wheels with steel center caps. It sports factory T-Tops with tie-downs, Flowmaster dual exhaust, power steering, power brakes, luggage rack and an AM/FM radio. 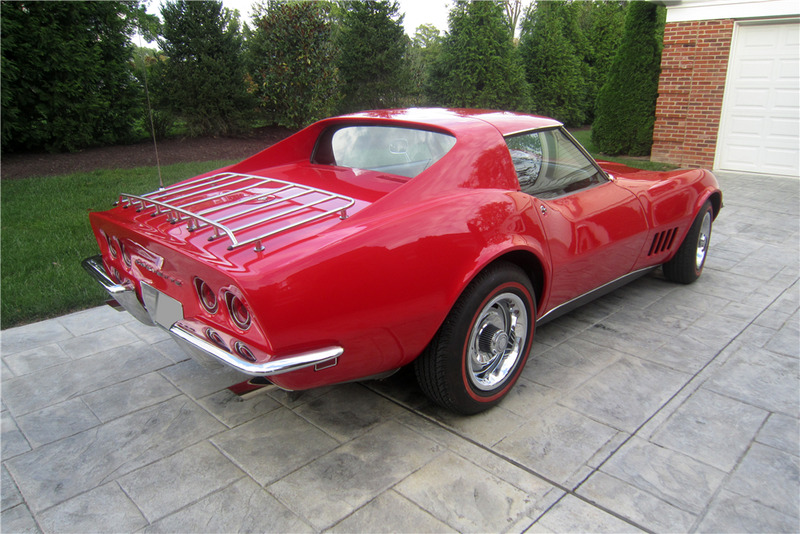 Originally a silver car, it was repainted Rally Red and finished with clear coat.